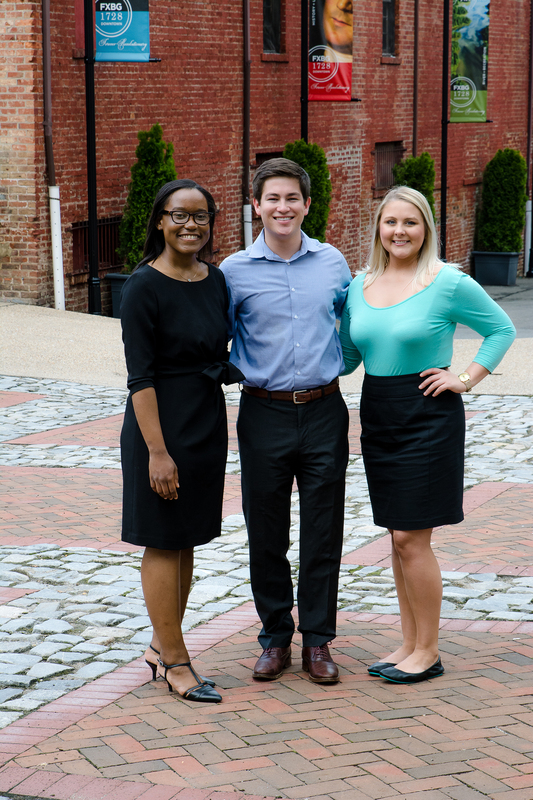 It had been a while since ScoutComms had interns on staff, and we couldn’t have asked for a better Summer 2017 group than Nicole Jackson, Chandler Bruns and Joe Dolan-Galaviz. Luckily Nicole will be staying on until September and Chandler will be returning as a remote intern later this month, but I truly think we may have learned more from all three of them than they did from us this summer. I know I did, at least! 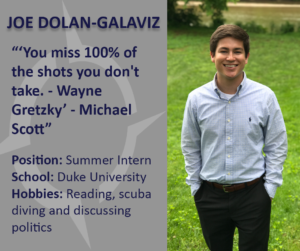 Regardless, they were kind enough to take the time to share with us some of their biggest takeaways from the summer they spent at ScoutComms. Whether it was heightened awareness of the need for diversity in both demographics and viewpoints in the military community, reassurance of newly-chosen career path or a sense of relief that there’s at least one small area of bipartisan support in political issues, they have a lot of insight to share with you – you’ll find these reflections, and more, below. As an intern at ScoutComms this summer, I’ve had the opportunity to gain unique insights into the challenges and issues faced by service members, military families and veterans: a community I’ve learned houses a range of perspectives and viewpoints. 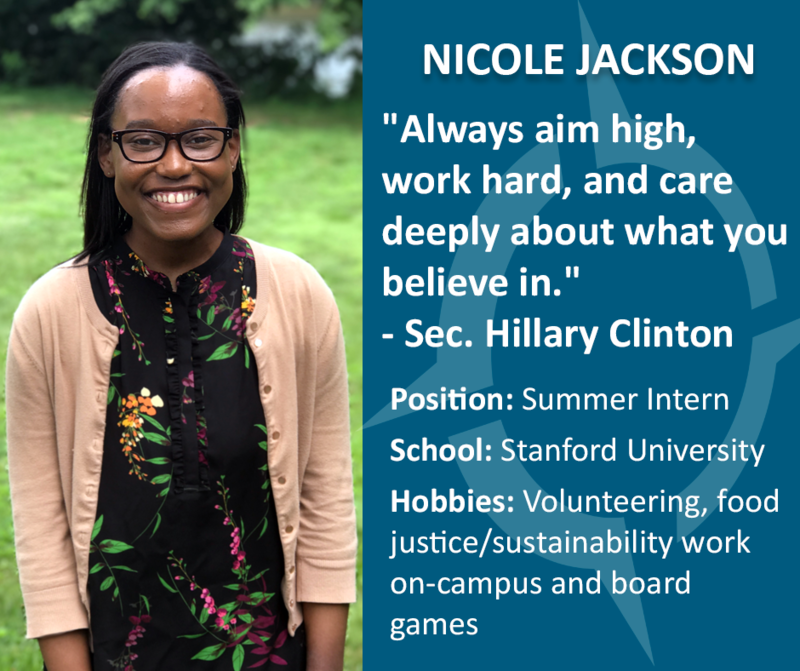 Having had experiences in federal and local government before joining the ScoutComms team, this summer I had hoped to learn more about how to achieve social impact and make a meaningful difference while in the private sector. I strongly identify with ScoutComms’ mission and values as a Certified B Corporation and quickly saw first-hand how the team works diligently to advocate for those who have served and continue to serve. I’ve had the chance to sit-in on client meetings, explore innovative social media strategies, research pending legislation on the Hill and talk about substantive changes and room for growth within the military and veteran space with the team. I’ve also enjoyed reading and listening to a variety of voices while here. My work supporting the Service Women’s Action Network serves as an example of the importance of representation and of uplifting the diversity in thoughts, backgrounds and opinions present in the military community. Through meetings and research, I learned about some of the needs specific to military women and about SWAN’s work to both better understand and surface emerging trends within this growing community. I also had an opportunity to draft tweets in support of a Twitter campaign in honor of Black Women’s Equal Pay Day. The intersection of diversity, research and advocacy played a fundamental role in shaping my understanding of the military community. I’ve learned and honed in on many transferable skills this summer that I plan to apply moving forward. I’ve learned to distill sometimes complex information into easily understandable infographics and presentations. I’ve also learned how important it is to understand the subtle nuances of policy stances and issues. I appreciate ScoutComms’ commitment to facilitating dialogue a deeper understanding on a variety of subjects with importance to the veteran and military community. Through research tasks, writing quick hits and briefing memos, I feel I have a more robust and comprehensive understanding of the diverse and changing military and veteran space. I am definitely not the typical student. Growing up, I attended three elementary schools, two middle schools and two high schools. I feel like I have outdone myself when it comes to college, though. I graduated high school as the valedictorian, but don’t let that fool you – there were only 10 people in my class. Therefore, I WAS the top 10 percent. I applied to Texas A&M University (the only school I was physically able to tour because we were stationed overseas) and was accepted right away. I was ecstatic about starting my own journey after having followed my dad all over the world with his U.S. Air Force career. As it turned out, Texas A&M ended up not being the best fit for me, so I enrolled in a local community college to “get my priorities straight,” as my mom would say. I moved on to college number two, with major number two. I started to pursue a degree in nursing at a community college, but I quickly realized that my squeamish tendencies couldn’t handle it. On to major number three. I decided that having a business degree would be something that was versatile and that I could pretty much do anything with it. It was going great, until I got bored. At that point, I had pretty much taken all the classes I could at a community college and felt like it was time to go back to a four-year university. I applied to the University of Texas at San Antonio and, sure enough, was accepted right away. This brought the tally up to school number three, where I also had to decide what major number four would be. I have always loved to write, and family members have told me that I definitely know how to talk, so I decided to give communications a try. I haven’t looked back since. 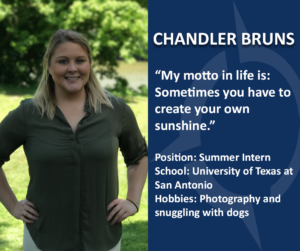 I know that I am now is where I have always meant to be, and being a summer intern for ScoutComms has reassured me of that. 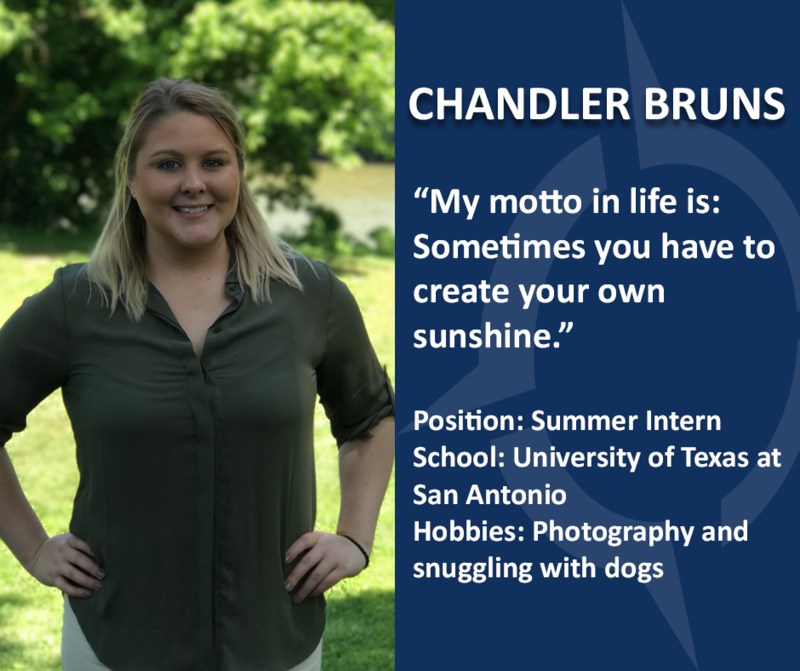 My experience this summer has boosted my passion for the military community and increased my desire to further my education in communications and public relations. Growing up as a military brat, I knew that I was able to offer a different perspective to the ScoutComms team and that I would be an asset to them with my cultured and well-rounded point of view. Most of the clients that we work with are organizations and companies that I have already had the pleasure to benefit from or be familiarized with while being raised in an Air Force family. The military community will always hold a special place in my heart, and being able to give back to it in any way that I can, will always be a priority of mine. ScoutComms has allowed me to do that. I never felt like I was just an intern here. From day one, I felt as if I was a part of the team. The skills I have learned and the opportunities that I was privileged with this summer are invaluable. I know that when I finish school in a year, I will have an advantage over my peers when job searching. The experience and confidence ScoutComms has given me cannot be learned in a textbook. Congressional politics in recent years have been polarized, partisan and predictable. Too often our elected officials are incapable of agreeing on even the most common-sense issues. Compromise is viewed as a sign of weakness and grandstanding takes precedence over civility. There seem to be few issue-areas that still garner robust, bipartisan support. Thankfully, this summer I had the opportunity to work in one of those areas: veterans’ affairs. Through ScoutComms, I was able to play a small role in the passage of the Harry W. Colmery Veterans Educational Assistance Act, more commonly known as the Forever GI Bill. This legislation will close loopholes that prevent certain Purple Heart recipients from receiving education benefits; reimburse veterans who used their benefits at now-defunct for-profit colleges; remove a 15-year deadline by which veterans must use their GI Bill benefits; and, among several other things, boost aid to the family members of those troops who have made the ultimate sacrifice. The Forever GI Bill made it through the House with a vote of 405-0 before being unanimously passed by the Senate. It seems almost unthinkable that the reformation of an educational benefit program like this one could be universally popular in congress. So, how did this happen? The answer: conversation and compromise. Student Veterans of America, a veteran service organization with a self-explanatory name, spearheaded the Forever GI Bill drive, and their strategy is a great case study on how to pass legislation. The original bill contained a “pay-in” clause, which would have had newly enlisted service members pay a certain amount each month to help fund the legislation. This was unpopular with a number of veterans and almost lead to the bill’s death. Regardless, Student Veterans of America worked tirelessly to modify the Forever GI Bill. They were able to build a broad, bipartisan coalition by meeting with countless veteran and military service organizations; participating in working sessions with members of congress from both parties; working through the bill with stakeholders, line-by-line; and focusing on telling the stories of those veterans who need this legislation the most. The result of all of this work: a popular, common-sense bill has been sent to the President’s desk for signing. The Forever GI Bill successfully overcame opposition, toxic partisanship and an inefficient congress. While veterans’ initiatives typically enjoy more bipartisan support than others, the size and scope of the Forever GI Bill made its passage a uniquely challenging task. Compromise and engagement with a wide-range of stakeholders and lawmakers made the Forever GI Bill possible. I believe the methods and strategies used to pass the bill form a model that can be replicated for future legislative proposals. My summer spent working on veterans’ issues has given me hope. It is clear that most lawmakers have the ability and desire to work together on legislation. Our politics are not as divided as we think. If we can come together to help veterans, why can’t we do the same for each other?